Their ferries whisk you from the Scottish mainland to the spectacular Northern Isles of Orkney and Shetland; the archipelagos on the very edge of the country. To magnificent landscapes and seascapes that will nestle into the folds of your heart, to areas that are rich in fascinating historical sites, to open spaces and skies that will envelop you, and to a holiday that you will never forget. Why not have an island adventure this summer with NorthLink Ferries? Hop on board a ferry from Aberdeen or Thurso and explore Orkney, anchored off the northern tip of the country, or Shetland, hanging above the mainland like the North Star. After all, ‘far is not far’ (the last line of a beautiful poem used in the NorthLink Ferries video advert). We asked the team at NorthLink Ferries, those who know the crooks and crannies of these amazing islands, for their hidden gem tips – first up are their suggestions for getting off-the-beaten track in Orkney. 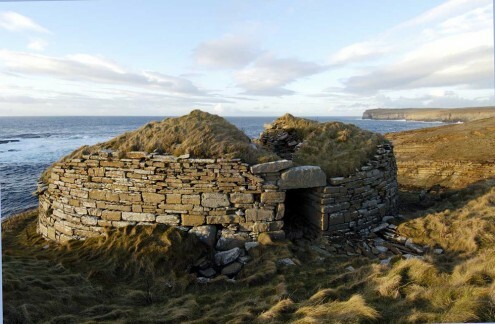 The Broch of Borwick is located along the coast of the West Mainland, about a mile north of the Yesnaby car park. Most people when arriving at Yesnaby head left (south) to Yesnaby Castle (a seastack on two legs). However, if you turn right and head North, a wonderful walk along the coast awaits you (though care should be taken as it can be precarious at points). You’ll find a little hidden bay with a stony shore and miniature sea stack. Looking over the bay on a cliff-top you’ll find some circular ruins – The Broch of Borwick. This an Iron age defensive Broch set amongst the untouched beauty of the rugged landscape. 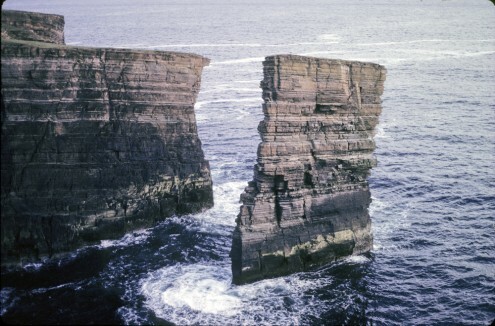 A great walk in Orkney is along the coastline from Yesnaby to Stromness where you’ll see some spectacular cliffs! Half way along this route you’ll see North Gaulton Castle, a tall sea stack with an almost impossibly narrow base. Its fifteen minutes of fame came in the 1980s, before the days of computer generated images, when a Rover car was airlifted onto it for a commercial. The Churchill barriers were built during WW2 as a defensive feature but now link the South Isles to the mainland, however not many people know that there was a fifth barrier built which links the uninhabited island of Hunda with Burray. 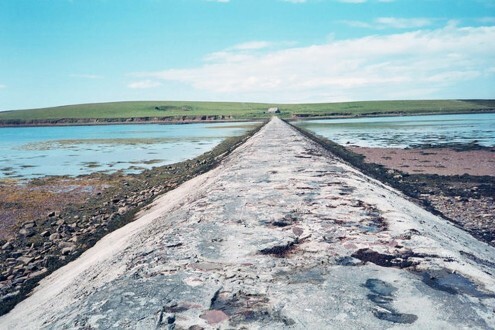 To reach the causeway (which is for walkers only) follow the A981 southwards past the Orkney Fossil Museum and Heritage Centre and Echna Loch and then take the first right road (signposted ‘Littlequoy’). 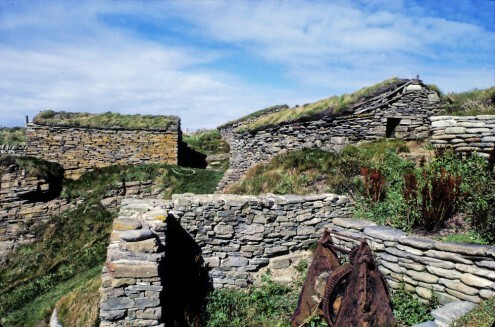 The Fishermen’s huts are at Marwick Bay, below Marwick Head and Kitchener’s memorial. There is a short coastal walk for half a mile heading south from the car park to the three historic fishermen’s huts which stand above a lovely cove of round pebbles. Click here to read part two of this blog series – recommendations for visiting Shetland.